About the topic "Transformations of functions"
"Transformations of functions" is the stuff which is much required for the students who study math in both school level and college level. To make the students to understand the stuff "Transformations", we have explained each kind of transformation step by step explanation along with the corresponding figures. 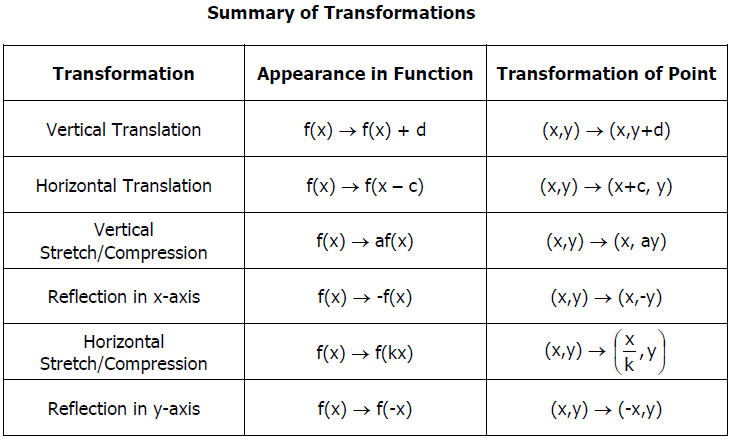 Different types of "Transformations of functions"
We have already seen the different types of transformations in functions. For example, if we are going to make transformation of a function using reflection through the x-axis, there is a pre-decided rule for that. According to the rule, we have to make transformation. The rule that we apply to make transformation using reflection and the rule we apply to make transformation using rotation are not same. After having gone through the stuff given above, we hope that the students would have understood "Transformations of functions".